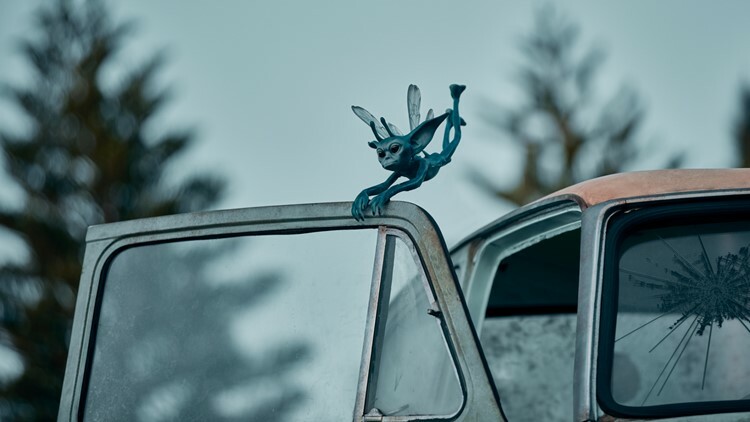 The park has revealed first looks at Fluffy, the three-headed dog and Cornish pixies for the new Hagrid's Magical Creatures Motorbike Adventure ride. ORLANDO, Fla. — If the magical creatures were your favorite parts of the Harry Potter films and books, this new roller coaster is for you. Universal Orlando will open Hagrid's Magical Creatures Motorbike Adventure on June 13. This week, the theme park has been revealing first looks at all the magical creatures riders will see when the coaster opens. You'll come face to face(s) with Fluffy the three-headed dog first seen in Harry Potter and the Sorcerer's Stone. If you remember, Fluffy was the massive pooch guarding the trap door that led down to where the Sorcerer's Stone was hidden. If you sing to him, he'll go fast to sleep. Universal also showed some spots where the mischievous Cornish pixies will be hiding along the ride. Pixies were first seen in Harry Potter and the Chamber of Secrets when bumbling Professor Lockhart unleashed a cage full upon his students. The park said there will be more than 20 Cornish pixies hidden throughout the ride. Though not a creature, Universal revealed a look at Devil's Snare -- one of the "challenges" riders will face on the roller coaster. 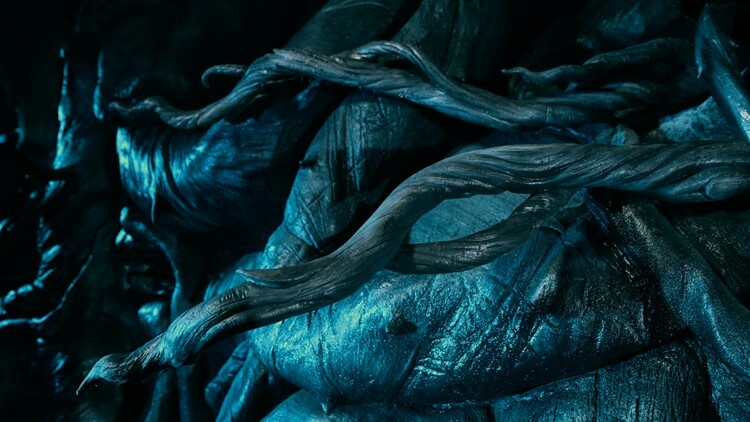 This thick, dark vine system first appeared in the Sorcerer's Stone when Harry, Ron and Hermione got tangled in it before Hermione freed them. The park also teased the fourth creature to be revealed Thursday -- "not to be confused with a horse or a human." A smokey video clip shows part of a Centaur holding a bow and arrow. Universal will reveal more creatures at 11 a.m. daily through the rest of the week.